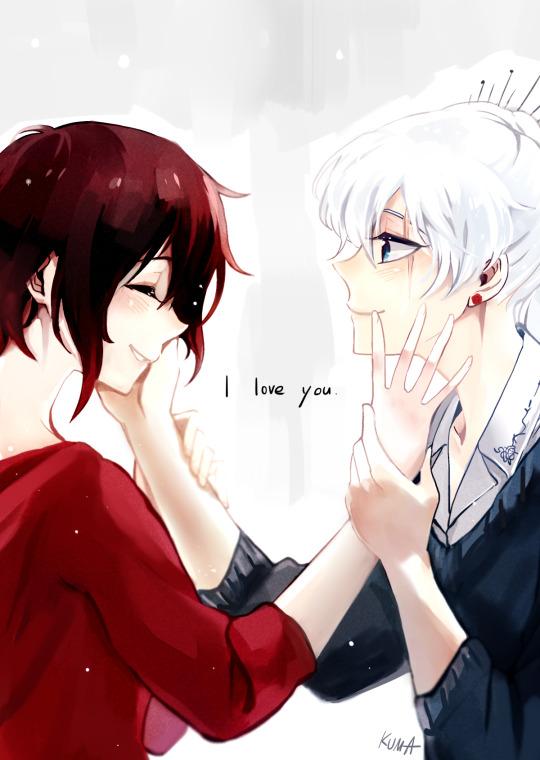 WhiteRose always seems like a potentially cute ship, to me. 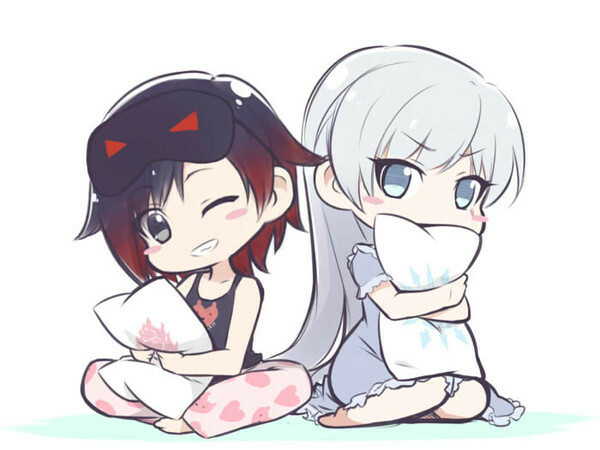 I can imagine Ruby being a good influence on Weiss with her adorable disposition. 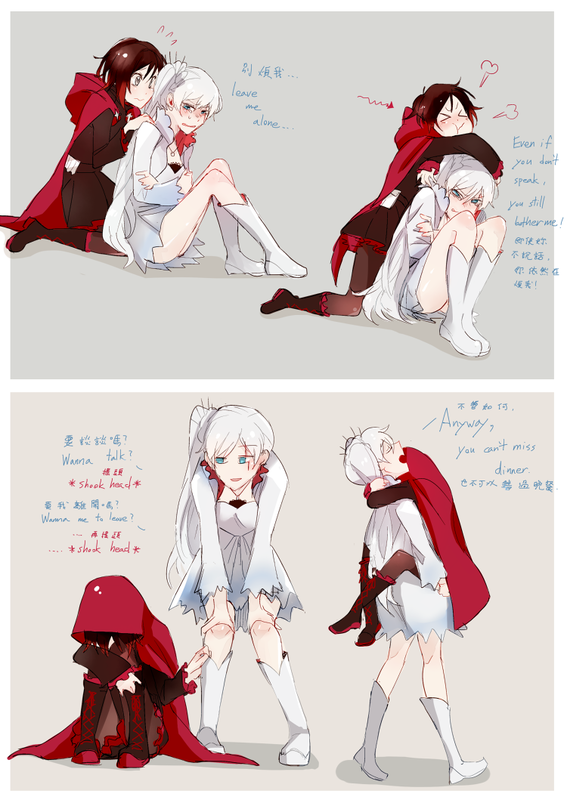 Likewise, Weiss could enjoy being like a doting big sister towards an affectionate Ruby. I don't know why, but I can't help but think of a lot of fluff surrounding this ship. To be honest, I like the choice of outfits. 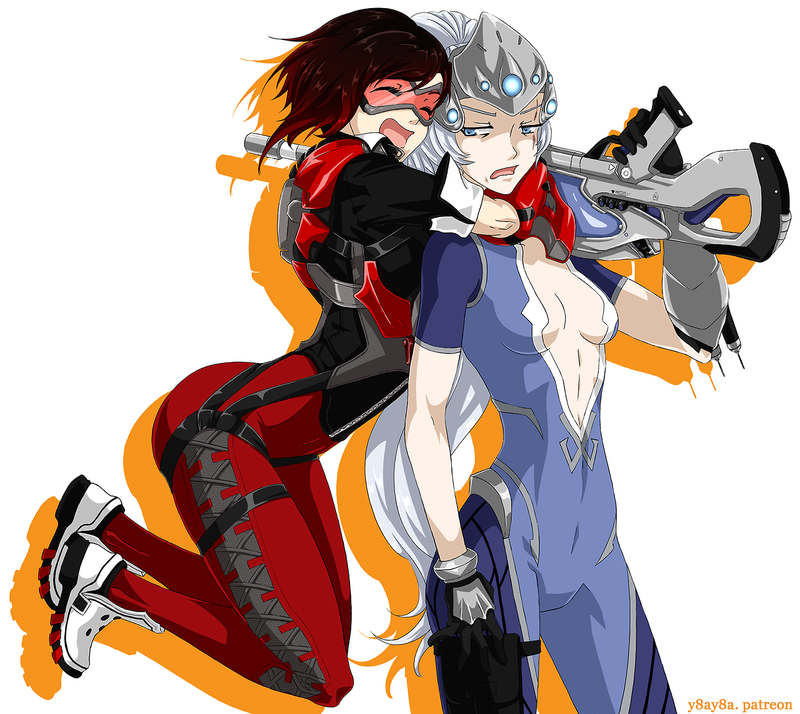 Not just because of fanservice, mind you, but because they sorta match Ruby & Weiss' personalities. Ruby as Tracer just seems natural. 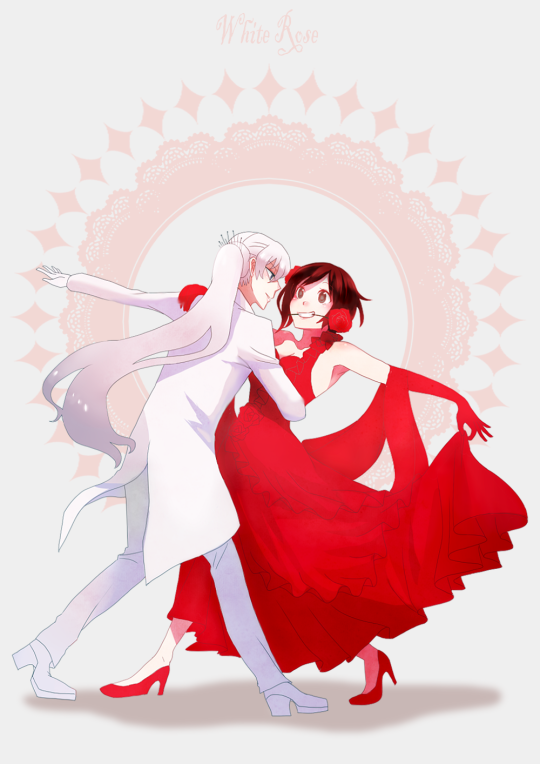 Plus, I love the look on Weiss' face. Very tsundere. 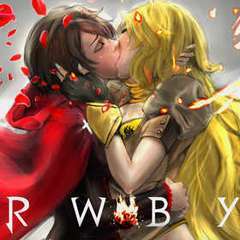 So how long do you think it will be before Weiss admits Ruby is her bff. I doubt it'll happen in Volume 5. 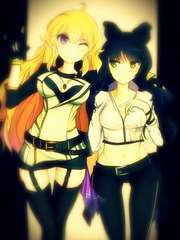 I'm hoping it'll happen sometime soon, like in Volume 6. It's one of those must-have moments, to me. 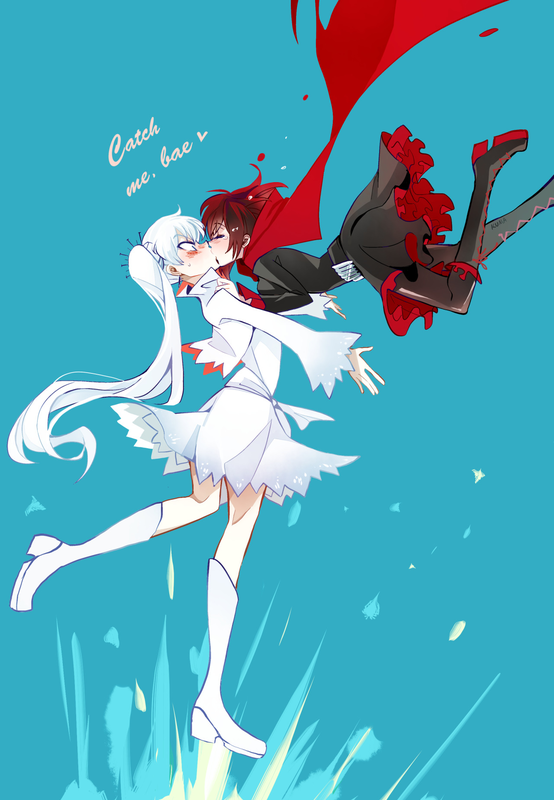 Weiss needs to tell Ruby She's her bff, if only to finally erase her old selfish self once & for all. 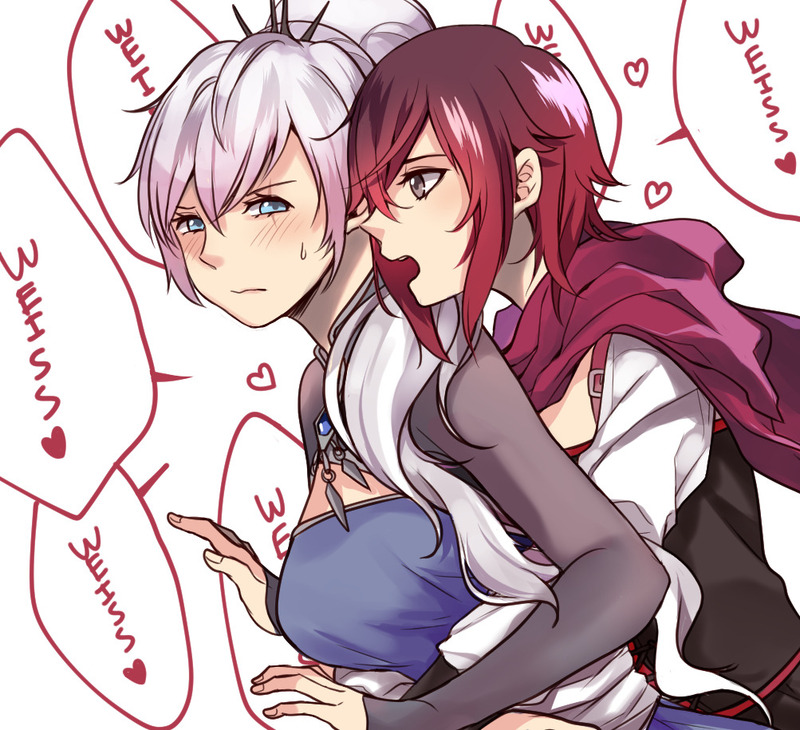 Ruby: Yaaaaaaaaaayyyy *proceeds to hug Weiss very tight. When you're sad, your bestie is always there for you. Well, damn. 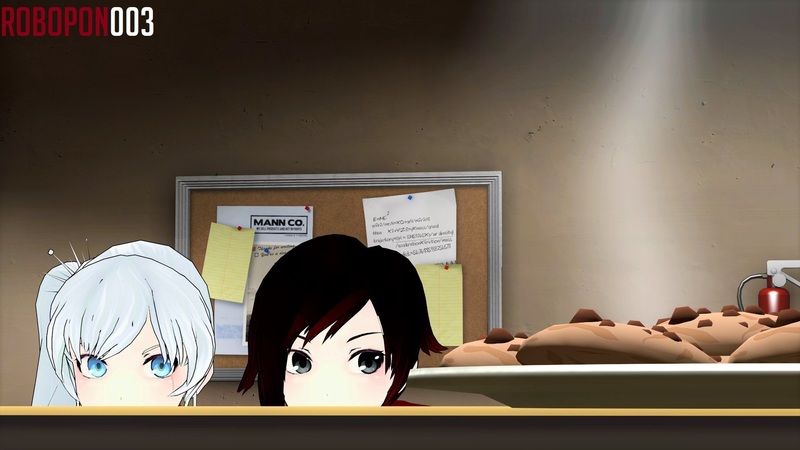 I knew Ruby missed Weiss a lot, but this is just...Damn.